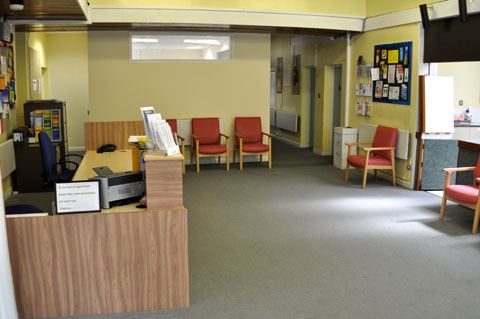 Abortion/sexual health clinic waiting room - the literature on tables e.g. women’s magazines juxtaposed w/ sexual health leaflets. When I was a child near the inception of the NHS the only waiting I remember was in the local GP’s waiting room. No appointment necessary, you turned up saw the Secretary and waited to be called. Now waiting for me is queuing outside the practice at eight o’clock on a cold and damp morning in order to be early in the queue of twenty odd people when the practice opens its doors at 8.30. This is the only way to ensure that one can get an appointment with a GP. Disgusting!